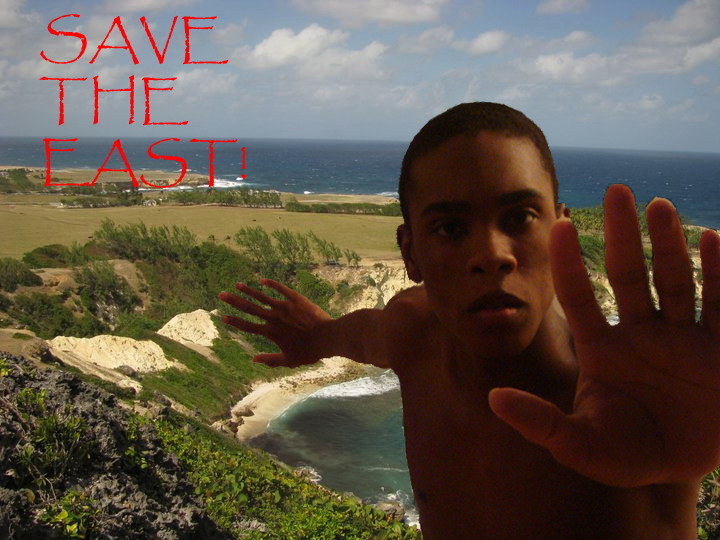 Prince of Barbados: Save our East Coast from development! This news is heart wrenching to me. Like most Bajans who are not part of the government, I have always been against the destruction of our beautiful country by indiscriminate development. Although the developer, Candelisa Resorts, boasts that this project will be “environmentally friendly” we all know that this development will surely begin the “condo-zation” of the whole Eastern coastline, one of Barbados’ last unspoiled stretches of coast. A call to action for all Bajans! Fortunately, with immediate and relentless civil action, this development will not go down! We as a people NOW need to wake up and realize that government promises are empty and that our MPs who represent us in Parliament are willing to go through with, NOT a national park, but actually a national catastrophe, that being the destruction of our beautiful isle. This island is too precious to be robbed of her captivating natural assets. From east to west our island Barbados is de best and we MUST, ABSOLUTELY MUST safeguard her until the end of time. Barbados has lived long and she will continue to live long even after we are gone. Let’s respect her and show her our undying love by treasuring her. I see Barbados as my island mother, one that I look to for comfort, one that I turn to for confidence and one that I rely on for joy. I will FIGHT long and hard to protect her, my mother, my island, my Barbados!